If you’re planning on going to college, the SAT or ACT is probably in your future…and that can be a scary thought. Not just because of the extra workload (or the way you tend to get really sweaty whenever you hear the phrase “time limit”), but also because taking standardized tests can be expensive. Between the books, the tutors, the classes, and the test itself (not to mention the time you might have to take off work to do all this studying!) the bills can start to pile up. And for some students, being able to afford test prep can feel like the difference between flunking the test or getting into your dream school. No wonder you’re stressed out! Here at Magoosh, we believe everyone deserves an equal shot at academic achievement, no matter what’s in your bank account. With that in mind, we’re super excited to give you this comprehensive list of free SAT resources, including eBooks, practice tests, flashcards, and more! Quiz: Should you take the SAT or the ACT? Okay, so you’re looking at a list of free SAT resources…you’re probably thinking about taking the SAT. But we’re not the kind of people who make assumptions! Maybe you’re still not 100% sure whether you should take the SAT or the ACT — or both?! Hoping to avoid buying one of those pricey SAT study guides? Check out these free SAT eBooks instead! Coming directly from the test makers, the College Board eBook is the most comprehensive source of information you will find about the concepts tested on the SAT. What’s nice is that The College Board makes it easy for you to print out guides by section in case you don’t want to print out the whole thing…because, man, this is a long eBook! Magoosh’s SAT Study Guide eBook covers the things you need to know for SAT success in a more manageable and easy-to-read format than the full-length College Board eBook. Plus, some of our explanations of key concepts and sample problems are arguably more in-depth than the ones in the College Board guide, and we offer advice on your college search! Looking for some lighter reading? 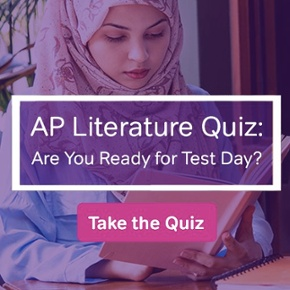 Regardless of which test you plan on taking, Magoosh’s High School Blog has you covered, with free articles and resources on everything you need to know about the SAT, ACT, and high school life. Not sure where to start? Check out some of our popular SAT blog posts below. Why is the SAT So Long? How Hard is the SAT? Weeks vs. Months: How Much Time Until Your SAT? Also, if SAT Math is not your strong suit (or even if it is!) be sure to check out our comprehensive information and downloadable ebook that can help you get closer to that perfect score! 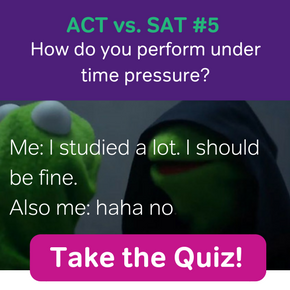 Just like actors have dress rehearsals to prepare for a play, you should definitely plan on taking several full-length practice tests before test day. Practice tests help you build stamina and confidence by giving you a feel for what the SAT is really going to be like. And, lucky for you, you can find lots of high quality SAT preparation online free of charge! 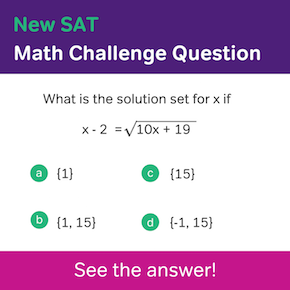 We’re so excited to give you access to this full-length printable free SAT practice test. Our experts have spent days crafting the 154 questions you’ll find inside, which we then thoroughly student- and tutor-tested until the data told us that the test was more than up to snuff. Text and video explanations for every single question! The College Board is the company that designs the SAT — so why not go straight to the source? With two full-length free SAT practice tests, you can be sure you’re getting a taste of the real thing. Once you’ve finished, check out our comprehensive text and video explanations to learn from any mistakes you may have made! This is a free online resource offered in conjunction with the College Board. Here you can find two additional practice tests, plus a whole bunch of free study tips and materials. No account required! If you’re looking for some more physical practice in reading, writing, or math, take a peek at these printable materials! Finding resources to practice the SAT Reading section is difficult since similar passages and questions are labor-intensive to recreate. However, one of the best things you could do to make sure you are prepared for SAT Reading is…well, reading. Printing out articles from these sources can help you hone your annotation skills and practice vocab in context by guessing the meaning of unknown words and then looking them up later to see if you’re right! Containing more math worksheets than you would ever hope for, Math Drills is a great resource for students who want to practice mental math, percentages, algebra, and basic statistics. Is it easier for you to stay engaged with videos than written resources? If so, it’s your lucky day, because wow — you’ve got options! This is Magoosh’s official SAT prep channel, and it’s a gem. Looking for study tips? You got it! Want specific strategies for acing each section of the SAT? You got it! Practice questions, with someone to walk you through them? You got it! Curious? Here’s a video to get you started! While it doesn’t technically cover the SAT, the Study Cafe YouTube channel will walk you through a whole bunch of must-have study strategies — there’s no doubt these will come in handy during your test prep. SupertutorTV offers free SAT prep videos from a Stanford-educated perfect scorer. 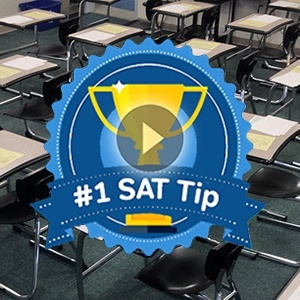 Check out their video playlists for tips, tricks, and information to help you do your best on the SAT! This playlist is part of the larger Khan Academy channel, with videos to guide you through every problem in the College Board’s Official SAT Study Guide. First take the practice tests on your own and see how you scored…then use these videos to understand the problems you missed, and learn from your mistakes! When it comes to SAT prep, how often you practice is more important than you might think. In fact, we consistently see students who practice regularly — even if it’s just an hour or less each day — improve their scores significantly. Start getting into the habit of daily practice in a (relatively) painless way with Magoosh’s SAT Question of the Day! Are you a visual learner? Take a look at these handy infographics to learn a thing or two about the SAT and how to study for it! Magoosh’s free SAT Prep and Vocab flashcards span all difficulty levels, letting you focus on concepts and words that are the right difficulty for you, no matter what your skills are. With a great design optimized for web, iPhone, and Android, you can take your free SAT flashcards with you anywhere, so studying on the go is a breeze! Studying for the SAT all on your own can be an intimidating task…obviously this is a list of free resources, but we do recommend you at least consider whether you would benefit significantly from a test prep service. Here at Magoosh we understand what a burden the high cost of test preparation can be — a burden that often falls unfairly on minority students and students at the lower end of the socioeconomic spectrum. With this in mind, we’re making an effort to make high quality test prep plans more affordable. Our SAT prep plan is available for only one third (or less!) of the price of comparable plans that other test prep companies currently offer. If you need help organizing your test prep schedule, these free study plans will help you prep for the SAT exam — whether your test date is coming up in three days, six months, or anywhere in between. But rest assured, it is possible to find quality SAT preparation online free of charge! If there are any other types of SAT resources you’d like to see added to this list, comment below and we’ll try to track them down for you.